De La Salle Palmerston (DLSP) is one of Dublin's longest-established, family-friendly, welcoming and inclusive rugby clubs based in Kilternan, South Dublin. 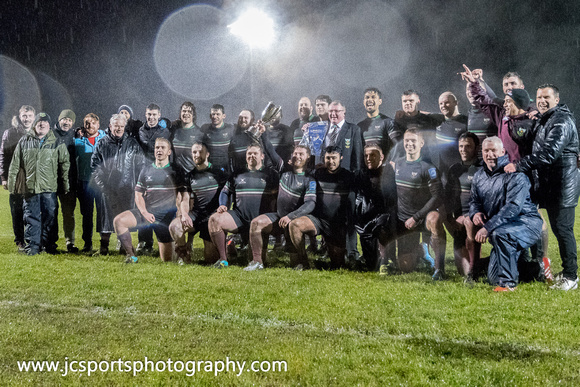 We field three mens' competetive teams in the Leinster League and Dublin Metro League respectively. We have a very active mini and youth rugby section for both boys and girls which includes an U20 team who compete in the JP Fanagan League. The club has a thriving social scene with a wide range of fun activities and events for all ages and interests throughout the year. New members are always welcome and we would love to see you at Kirwan Park! U18.5s Progress to the Metro Cup Final! The DLSP Ladies Day 2019 – another resounding success! Tag Rugby Event for Habitat for Humanity a Great Success!